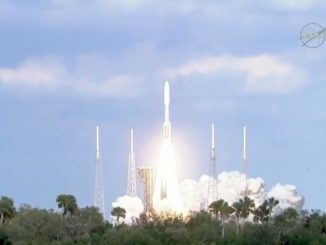 A Japanese H-2A launcher blasted off from an idyllic island spaceport Tuesday, dispatching a daring six-year expedition to bring a piece of an asteroid back to Earth. The Hayabusa 2 mission’s roundtrip voyage began at 0422 GMT Wednesday (11:22 p.m. EST Tuesday) with a thunderous ascent from Tanegashima Space Center in southern Japan. 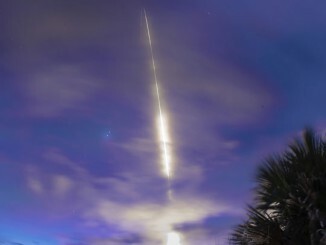 The 1,300-pound spacecraft rode a hydrogen-fueled H-2A rocket through clouds hanging over the seaside spaceport, leaving a twisting column of exhaust in its wake before disappearing hundreds of miles over the Pacific Ocean. The rocket’s upper stage engine fired two times to accelerate Hayabusa 2 on a speedy departure fast enough to break free of the pull of Earth’s gravity. The robotic explorer, packed with four stowaway landers to be deployed to the asteroid’s surface, separated from the H-2A rocket at 0609 GMT (1:09 a.m. EST). 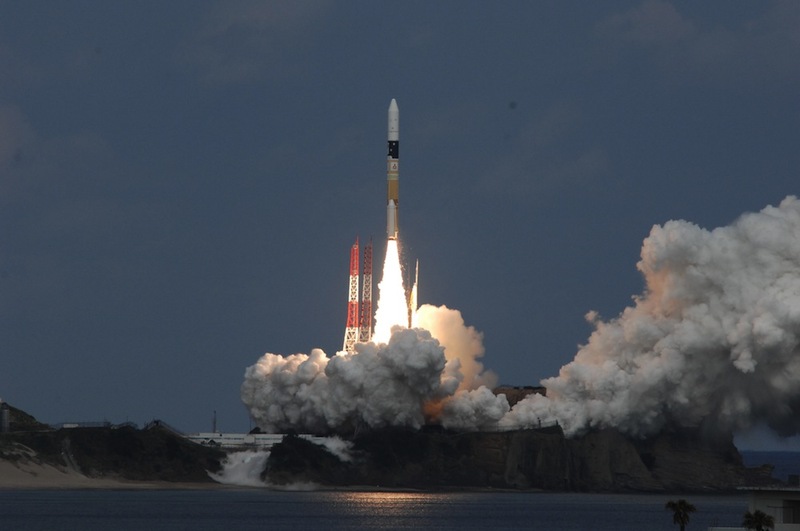 Applause could be heard in a live webcast of the launch provided by the Japan Aerospace Exploration Agency, which manages the Hayabusa 2 mission. 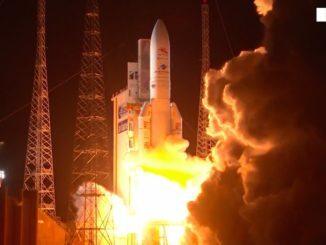 The launch marked the opening chapter in the most ambitious mission to an asteroid ever attempted. 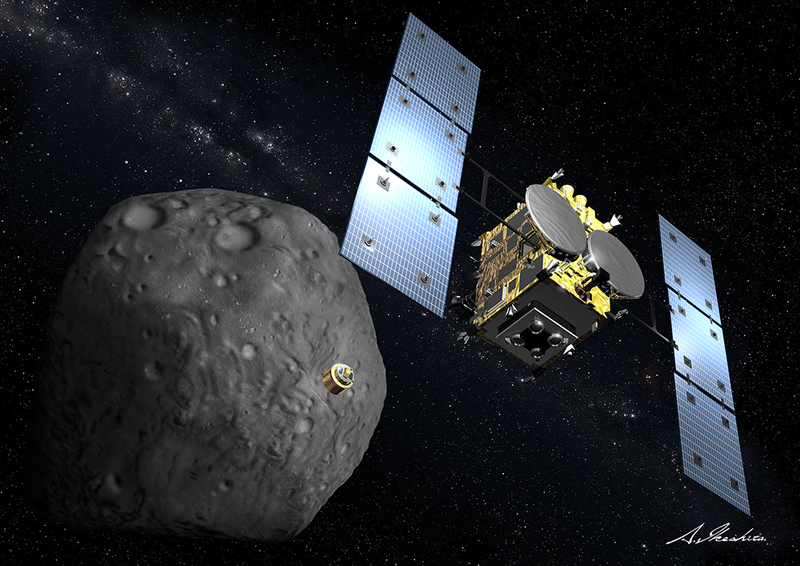 The roundtrip journey will take six years to complete, and Hayabusa 2 promises to expand scientists’ understanding of how asteroids may have seeded Earth with water and organic molecules, the building blocks of life. Hayabusa 2 is heading for asteroid 1999 JU3, a carbon-rich world just 900 meters — about 3,000 feet — across with a tenuous gravity field 60,000 times weaker than Earth’s. 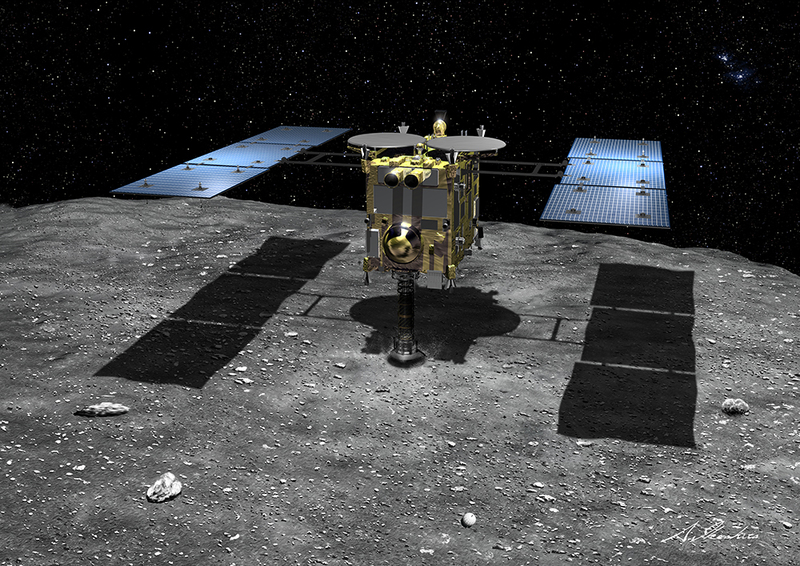 The mission follows up on the achievements of Japan’s Hayabusa 1 probe, which made the first roundtrip flight to an asteroid from 2003 to 2010. The first Hayabusa mission encountered several crippling problems, including a fuel leak, failures in its pointing system, and a glitch with the craft’s sample collection system. Despite the challenges, the spacecraft returned to Earth in 2010 — a few years late and carrying a fraction of the asteroid specimens intended. But Japanese scientists found microscopic samples from asteroid Itokawa — Hayabusa 1’s research subject — inside the probe’s landing vehicle. The success vaulted Japan into the big leagues of solar system exploration. But Hayabusa’s troubles meant it was prudent for engineers to make changes on Hayabusa 2. Hayabusa 2’s electrically-powered ion engines were upgraded to produce more thrust, and engineers installed a Ka-band antenna to beam data back to Earth at four times the rate possible on the first Hayabusa mission. The spacecraft will arrive at the asteroid in June 2018 after swinging by Earth late next year to get a boost to the mission’s destination, which circles the sun between the orbits of Earth and Mars. The probe will initially park itself 20 kilometers, or about 12 miles, from the asteroid for a comprehensive survey with a set of spectrometers, cameras, and other sensors to map the tiny world. Then scientists will start to look for suitable sites on the asteroid to put down four diminutive landing drones and scoop up samples for return to Earth. Hayabusa 2 will spend a year-and-a-half at asteroid 1999 JU3, enough time for the probe to pick up rock specimens from three different locations on the unexplored asteroid. One of the samples is supposed to come from material excavated from beneath the asteroid’s surface. Hayabusa 2 will use explosives to fire a copper impactor into the asteroid to carve an artificial crater, exposing underground pristine rocks for the probe to pick up during a touch-and-go maneuver. The spacecraft’s sampling mechanism works by shooting a small bullet into the asteroid after it dips down to the surface. When the bullet fires while Hayabusa 2’s sampling funnel is in contact with the asteroid, engineers believe bits of gravelly rock will be blasted through a tube into a collection chamber for storage inside the mission’s return capsule. Hayabusa 2 carries four landers, including a 22-pound robot named MASCOT built by the same team that managed the Philae comet lander that touched down on comet 67P/Churyumov-Gerasimenko on Nov. 12. Three other landing craft built in Japan will also descend to the asteroid during Hayabusa 2’s mission. The landers are mobile and will use mechanisms to hop across the asteroid to study its environment from several locations. Once the mission’s work at the asteroid is complete, Hayabusa 2 will leave and head for Earth in December 2019. Hayabusa 2 will release a container with the asteroid samples for a blazing re-entry through Earth’s atmosphere for a parachute-assisted landing in the Australian outback in December 2020. In an interview with Spaceflight Now before the launch, Kuninaka said Hayabusa 2 has a dual purpose as a machine for scientific discovery and a testbed for new technologies that could advance space exploration.